In simple terms, asset management is a process that enables you to get the most value from your assets and to replace or rehabilitate them when necessary. Through asset management you can plan to reduce costs while increasing the reliability and efficiency of existing assets. 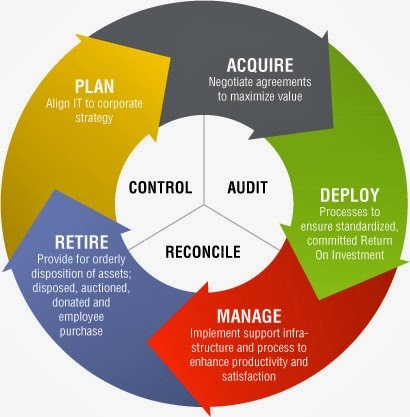 In terms of a business model, a proper asset management system can allow you to keep track of your fixed and human resource assets and subsequently grow in profitability and efficiency. The three factors that need to be taken into account are your capital asset base, your fixed asset base and your human resource assets. These factors interact with one another and an effective management system will make sure that each asset performs at its optimal level. Over and underutilizing asserts can be damaging to your profit margins. Personal asset management is usually offered to those who have a substantial pot of wealth available for investment. If you are eligible for personal asset management you will need to establish a relationship with a financial advisor and think about the kind of bespoke investment package your assets will be best suited to. How involved do you want to be with the management of your personal assets? Many management services will offer both hands-on approaches to investment and programs where you can leave investments to the professionals. A good asset management scheme will identify the need for a particular asset, work out how much provision a particular asset needs, how it will be operated and how a depreciating asset will be disposed of when the appropriate time comes. Before your asset management plan is developed, it’s important to take an inventory and decide which of your assets need to be prioritized. The implementation of any asset management plan must be followed by regular reviews to make sure that the initial strategy is still working for you or your business. For the tracking of fixed assets, there are plenty of interesting solutions currently available on the market. Fixed asset accounting, asset tracking and asset labelling are offered by management firms such as Assetware Technology. To make the most of your existing assets, it’s advisable that you start doing your research and finding out what kind of asset management package will best suit your personal and business requirements.